Ne mund t� p�rmbushim sa m� mir� p�rgjegj�sit� tona si t� Krishter� dhe si� mendja e Per�ndis� na zbulohet ne n�p�rmjet studimit t� Fjal�s s� Tij. Ky kurs ndri�on ata q� interesohen n� organizimin e studimit t� tyre t� Bibl�s. Nga ThomasMaphori?, 132 faqe, botuar ne shqip nga INK-International? ? 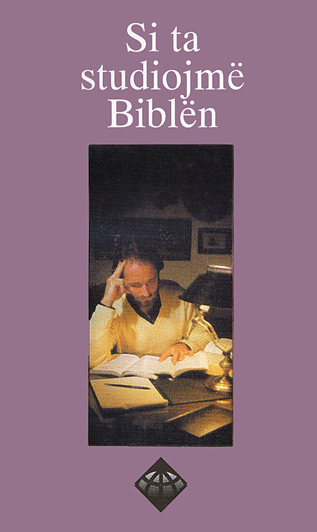 We can best fulfill our responsibilities as Christians as God�s mind is revealed to us through the study of His Word. This course gives insight for those interested in organizing their study of the Bible. By ThomasMaphori?, 132 pages, published in Albanian by INK-International?